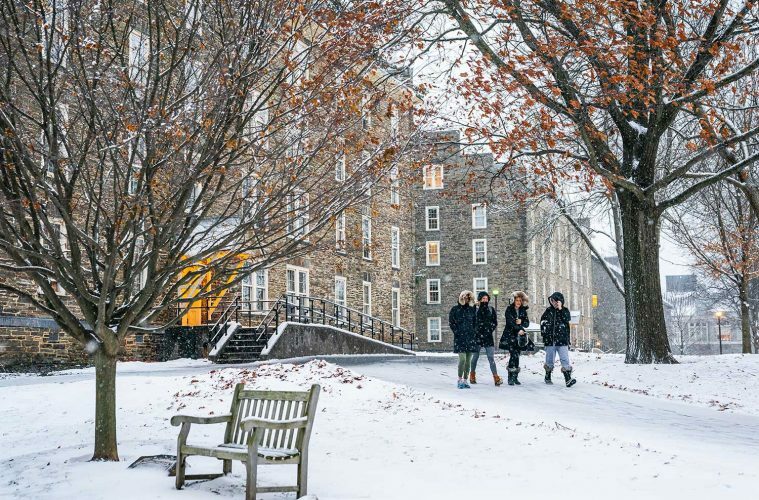 Applicants to Colgate this year set an all-time record, both in the number of applications submitted and for the strength of their collective academic profile. Notable increases include a 30-percent jump in applications from Washington State, a 20-percent increase in Texas, a 12-percent increase in Arizona, and a 32-percent increase in Hawaii. Even more impressive, Ross said, is that these historic application numbers come on the heels of last year’s record-breaking application season. “In many cases, these regional increases coincide with the census changes in our country. It’s also reflective of our activities in areas where we have increased outreach,” Ross said. International applications increased by two percent this year, even as applications from China and South Korea were down slightly from previous years, Ross said. “India was up by 30 percent,” Ross said, adding that application numbers from Uzbekistan, Kazakhstan, and Australia have also seen major growth. Associate Dean of Admission Drew Riley said he thinks the application growth can be tied to new staffing in the Office of Admission, which has led to strategic outreach and increased visits to events held by local community-based organizations and college fairs. Admission decisions are scheduled to be released at 1:13 p.m. on March 23.